1. What is the nature and importance of the mining industry? Indonesia is among the top 10 producers in the world for gold, copper, nickel and tin. Its world-class mines include Grasberg, Batu Hijau and Soroako. Active mining companies include Antam, Freeport, Koba Tin, Newcrest, Newmont and Timah. The country is a key supplier of minerals and metals to Asia’s leading industrialised and industrialising nations. Mining is a significant contributor to Indonesia’s GDP and the major contributor to the GDP of a number of its provinces (Papua, Bangka- Belitung, West Nusa Tenggara, Riau, South Sulawesi and North Maluku). Indonesia is highly prospective geologically. But exploration for minerals and mine development (in particular of known nickel deposits) has been impeded in recent years by legal uncertainties arising from decentralisation, the prohibition by Law No. 41/1999 of open-cut mining in designated ‘protected’ forest areas and illegal mining. In addition, proposed reforms to mining laws and the possible end to the country’s long-standing Contract of Work regime have eroded investor confidence. Nevertheless, the Department of Energy and Mineral Resources reported that investments in mining in 2005 under Contracts of Work were US$506.09 million, up from US$323.78 million in 2004. The mining industry’s commodity export value increased from US$7,304 million in 2004 to US$9,385 million in 2005 (including coal). 2. Is the legal system civil or common law-based? Indonesia has a civil law system, inherited from the Dutch who governed portions of Indonesia from the early 17th century until 1949. Indonesia’s Civil Code has not been substantially amended for over a century. 3. How is the mining industry regulated? The mining industry in Indonesia is regulated by central, provincial, regional and municipal levels of government. Mining rights or authorisations (known as kuasa pertambangan or KPs) may be granted and regulated at all levels of government pursuant to centrally enacted mining laws and regulations and, increasingly, regional regulations. Provincial and regional governments have also begun to exercise their perceived authority by attaching conditions to grants of mining rights and imposing additional obligations and taxes on their holders. These, and regional regulations, may conflict with central laws and so be subject to review and cancellation by the central government (ie, the Ministry of Domestic Affairs). Indonesia’s mining laws also contemplate the granting of mining rights under contracts (kontrak karya or contracts of work, KK or COW) between government and private sector contractors. COWs are in theory ‘negotiated’ but in practice have followed a series of evolving standard form agreements (from the first, through to the seventh, and perhaps the eighth ‘generation’), all of which have been approved by parliament and the president. But obtaining a new COW is currently a complex and sometimes impossible exercise. The existing mining law (as described below) is perceived to be inadequate in many ways. There is a need to resolve jurisdictional confusion and more fully define the environmental and reclamation obligations of mining companies. Since 1999, the Forestry Law has prohibited open-cut mining in ‘protected forest’ areas (a catch-all category applying to much of Indonesia’s forested land mass). The central government had enacted decrees and regulations exempting contractors under 13 COWs, Coal COWs and holders of KPs approved before the enactment of the Forestry Law in 1999 from that Law’s prohibition of open-cut mining in protected forest areas. The Forestry Law requires holders of KPs and contractors under COWs or Coal COWs to nevertheless obtain use and borrow approvals from the Forestry Department under regulations that are aimed at limiting the impact of mining operations on forested areas. But the implementing regulation issued by the minister of forestry, Regulation No. P-14/2006, sets forth difficult requirements that are almost impossible for such mining right holders to perform. Regulation P-14/2006 appears to permit limited and conditional use of forest areas for mining activities in exchange for reforestation commitments in other areas or compensation. From 1967 until 1999, Indonesia had a centrally regulated mining law regime with an ‘open-door’ policy for foreign investment in mining that was viewed as attractive and reliable by international mining companies. For foreign mining companies, the foundation of reliability was the COW. Considered to be lex specialis, it granted exclusive mining rights to a corporate contractor over a defined, usually extensive, area for a 30-year term. The rights and obligations of government and contractors under COWs are, when so stated, immune from subsequent changes in law, royalties and tax rates. Furthermore, unlike KPs, disputes between the government and the contactor granted mining rights under a COW (except for those concerning tax matters) can be resolved through international arbitration. Enforcement of arbitral awards may be assisted, as Indonesia is a party to the New York Convention on the Enforcement of Foreign Arbitral Awards. In 1999, decentralisation and regional administration laws (Law No. 22/1999 regarding regional government, replaced by Law No. 32/2004) transferred substantial authority over hardrock mining from the central government level to provincial, regional and municipal government levels. Further to Government Regulation (GR) No. 75/2001, mining rights in the form of KPs may be issued, administered and regulated at the central, provincial, regional or municipal level, depending primarily on whether provincial, regional or municipal boundaries intersect the area in question. At the same time, Law No. 25/1999 and 33/2004 confirmed significant increases in the share of revenues allocated to provincial, regional and municipal governments from dead rent, tax and royalty payments made by holders of mining rights. GR No. 75/2001 also provided that COWs "should be stipulated separately" in consultation with the People’s Representative Assembly Parliament. Since May 2005, parliament has considered a new Mining Law. This has effectively blocked consideration and issuance of new COWs for the past seven years even though there are a number of major international mining company applicants. 4. What are the principal laws that regulate the mining industry? What are the principal regulatory bodies that administer those laws? Article 33 of the constitution of the Republic of Indonesia of 1945; Law No. 11/1967 on Basic Provisions of Mining, GR No. 32/1969, GR No. 79/1992 and GR No. 75/2001; and minister of energy and mineral resources Decree No. 1614/2004) (collectively referred to as the Mining Law). GR No. 45/2003 on Tariffs of Non-Tax State Revenues Effective Within the Ministry of Energy & Mineral Resources (GR No. 45/2003). Law No. 32 and 33/2004 on regional government. Law No. 41/1999 on Forestry and Law No. 19/2004; and Regulation P-14/2006 (the Forestry Law). Law No. 5/1960 on Basic Provisions of Agrarian Principles (the Agrarian Law). central (BAPEDAL) and regional environmental authorities. regents (bupati) and mayors (walikota) of 428 regions (kabupaten) and municipalities (kota). 5. What classification system does the mining industry use for reporting mineral resources and mineral reserves? The JORC Code and Guidelines for Reporting of Identified Mineral Resources and Ore Reserves, a joint initiative of the Australasian Institute of Mining & Metallurgy, the Minerals Council of Australia and the Australian Institute of Geoscientists through the Joint Ore Reserves Committee, is widely used in Indonesia. 6. Who has title to metallic minerals in the ground? Under article 33 of the constitution of the Republic of Indonesia, 1945, natural resources (ie, land, water and natural riches contained therein) are to be ‘controlled’ by the state and made use of for the people. As a result, the state (ie, the government of the Republic of Indonesia) is deemed to have title to minerals in the ground and to mined and processed minerals and metals. Parties granted mining rights under the Mining Law are in effect ‘contractors’ of the government and do not by virtue of holding mining rights acquire title to minerals in the ground. Parties holding mining rights for exploitation, transport and sale under KPs or COWs are granted the exclusive right to sell and export mined minerals and retain the proceeds of sale (assuming royalties and other payments to the government are made in a timely manner). Title is acquired by a purchaser from the government in accordance with agreements for sale and purchase between the purchaser and the KP holder or the COW contractor (in effect, acting as the government’s agent), or at the point of export. 7. What information/data is publicly available to private parties who wish to engage in mining activities? The central DEMR in Jakarta provides published information about Indonesia’s mining law regime but such information is not comprehensive and may not be up to date, especially with respect to regional regulations. The DEMR will on the request of any party, and for a fee, provide printed maps showing areas covered by grants of mining rights to identified parties. These maps may not be up to date nor include mining rights granted by provincial governors, regents or mayors but not yet reported to the DEMR. Failure to report, however, does not invalidate a KP. Lack of coordination amongst government levels can result in overlapping grants and resultant uncertainty. Geological information and data can be purchased from the DEMR for a fee per hectare for areas not subject to a currently valid grant of mining rights. Such information and data has usually been generated by prior holders of mining rights for the area in question and provided as legally required to the DEMR. 8. What mining rights may private parties acquire? How are these rights acquired? What obligations does the holder of these rights have? Mining rights are granted pursuant to the issuance of KPs (for smaller areas) and, in theory, COWs (for larger areas) on a first come, first served basis. Such rights give the holder or contractor the exclusive authorisation to conduct mining activities in a defined area within a certain period of time subject to performance of specified obligations. The holder of a KP or a contractor under a COW has a right to keep and sell minerals mined in its KP or COW area provided that dead rent, certain taxes and royalties are paid. KP holders and COW contractors (to the extent specified in COWs) are subject to generally applicable laws, such as environmental and forestry laws. At present, COWs are unlikely to be approved until the Mining Law is amended and such amendment retains the COW as one means of granting mining rights. Nevertheless, the process for obtaining a COW continues to be initiated by an application for, and issuance of, a preliminary investigation permit (SIPP) or an exploration permit. Such permits are issued by the central, provincial or regional levels of government depending on the location of the area covered by the permit. The holder of the permit may be a foreign company. The holder has the right to request a COW for such area or part thereof. The processing of such requests involves obtaining approvals of the DGMCG and all levels of government, negotiation of the terms and conditions of the COW and tabling of the proposed COW before parliament for its ‘approval’. The COW is signed for the government by the MEMR following approval by the president. It is also signed by a new Indonesian company formed by the permit holder and at least one other party (both of which can be foreign companies). An alternative but little used way to obtain a COW by foreign investor involves conversion of KPs to a COW. This requires negotiations and approvals concerning all levels of government and additional approvals of the DGMCG, the Capital Investment Coordinating Board (BKPM), parliament and the president (see MEMR Decree No. 1614/2004). Mining rights may also be acquired through direct transfer of KPs by their holders to third parties provided the transfer is first approved by the granting authority. Mining rights granted to contractors under COWs or of a contractor’s interest under a COW may be assigned and transferred to qualified parties if such assignment and transfer is permitted under the terms of the COW in question and approvals have been obtained, both as may be required under the COW (normally from the MEMR or DGMCG) and under regional administration laws. Assignments of mining rights have been approved as security for project loans for funding mine construction. Obtaining approvals can be a prolonged process and as a result, transfers and assignments are relatively infrequent. A simpler but indirect method of obtaining or rather controlling mining rights is (subject to restrictions on foreign ownership) by purchasing the shares of a contractor under a COW or of its shareholders. KPs may be granted by the regent or mayor if the KP area is located entirely within a regency or municipality. KPs may be granted by the provincial governor if the KP area straddles two or more regencies or municipalities within a province and there is no coordination between the regents or mayors concerned. KPs may be granted by the MEMR if the KP area straddles two or more provinces and there is no coordination between the governors concerned. The authority of regents and mayors extends to four miles offshore, of governors to between four and 12 miles offshore and of the MEMR to KP areas more than 12 miles offshore. KPs grant exclusive mining rights to the holder for specified minerals or metals, stages of mining activity and specific time periods within a defined KP area. However, a holder of a KP for exploration of a specified mineral has a priority in applying for a KP for other minerals discovered in the same area. The holder of a general survey KP has priority over other applicants for an exploration KP within the same area. The holder of an exploration KP has priority over other applicants for an exploitation KP within the same area. Applications for later stage KPs and extensions must be initiated during the term of an existing KP. COW contractors that are PMA (foreign capital investment) or PMDN (domestic capital investment) companies normally have special privileges or concessions confirmed in the COW, for example, with respect to duty-free import of capital equipment, unrestricted export of mineral products and exemption from currency exchange control if ever adopted by the government. COWs may also establish special tax regimes for the COW contractors and fix corporate tax rates at the then current rate, with the government undertaking to hold that rate for the life of the COW and in some instances to give the COW contractor the benefit of any future lower rate. Some COWs require COW contractors to ‘work towards and assist’ the government in establishing metal-processing facilities in Indonesia, if economically feasible. If such facilities have been established in Indonesia by other parties, the COW contractor may be required to process its mineral products at such facilities if terms and conditions no less favourable than offshore alternatives can be obtained. Mining-related obligations of a holder of mining rights are set forth in the Mining Law, for KP holders as conditions attached to the KP permit and for COW contractors as terms and conditions in the COW. Other obligations are imposed in environmental and forestry laws. To apply for and then maintain a KP or COW in force, the holder or COW contractors must pay prescribed deposits, dead rent, exploration or other contributions, and land and building tax to specified government authorities. Work must commence within six months from issuance of exploration KPs, within six months for pre-exploitation work under exploitation KPs and within one year for exploitation work under exploitation KPs. A six-month hiatus when no work is carried on can result in the KP being deemed abandoned. Failure to comply with such deadlines, work obligations and permit conditions can result in KPs or COW companies being terminated. An issuing authority may suspend performance of obligations due to force majeure or other unexpected events. Holders of mining rights are entitled to conduct exploration, construct required infrastructure and carry on other mining activities using proper mining techniques and equipment. But holders must at the same time acquire consents, relinquishments or transfers from surface rights holders (see below). Holders are required to deposit reclamation funds. KP holders must submit preliminary reports detailing mining plans, production targets and quarterly and annual reports in a prescribed form. The obligations of COW contractors are more extensive and spelled out in detail in the COW. Special obligations of COW contractors include, without limitation, obligations for employment and training of Indonesian nationals, maximisation of regional economic and social benefits, regional and local business development (with regional and local levels of government involved in the programme and budgeting process), providing public access to and use of infrastructure, such as airstrips, harbours, roads and bridges and payment of regional and local government levies and taxes as approved by the central government as such existed on the date of signing of the COW. The decentralisation and delegation of authority to regional has resulted in attempts by such levels to collect additional levies when authority to do so may be questionable or lacking. COW contractors are obligated to sell mineral products at arms’ length international prices, report sales revenues and justify sales prices. Government approvals are required as a COW advances from general survey through to exploration, feasibility study, mine construction and finally to the 30-year operating period. Mine and infrastructure plans are also subject to government approval. Since regionalisation, this means in practice approval by all levels of government in the affected area. Under certain COWs, PMA contractors and their foreign shareholders are obligated to offer shares for sale in the COW contractor to Indonesian nationals and companies owned by Indonesian nationals. These COWs specify the extent of such offerings and the percentage of shares in the COW contractor company involved. For some COWs, such offerings must continue until such Indonesian parties own no less than 51% of all shares of the COW company. Offering prices are specified as being ‘fair market’ prices but in practice are the prices as agreed between the COW company and the central government. Since the enactment of GR No. 20/1994 and GR No. 83/2001, the mandatory level of Indonesian ownership in a COW PMA company has been reduced to nil on formation and some level (probably a nominal percentage) after 15 years of production. COWs issued thereafter have referred to GR No. 20/1994 as being ‘at all times’ (ie, for the life of the COW) the governing requirement for Indonesian ownership of COW contractor companies. 9. Is there any distinction between the mining rights that may be acquired by domestic parties and those that may be acquired by foreign parties? Under the Mining Law, KPs can only be granted to Indonesian individuals and legal entities. Although the Mining Law contemplates that the KP holder has a demonstrable capacity to exploit minerals in its KP area, this is often not the case. As a result, KP holders on occasion enter into agreements with foreign mining companies to carry out mining activities on their behalf. Some KPs contain conditions requiring approval of such agreements (sometimes referred to as ‘cooperation agreements’) by the issuing authority. A foreign individual or entity cannot be a direct party to a COW but can be a shareholder of an Indonesian PMA COW contractor company. As mentioned above, and subject to the terms of the COW in question, foreigners can hold as much as 100 per cent of the issued shares of such companies for 15 years. Thereafter, a nominal percentage of shares in the PMA COW contractor company must be offered to Indonesians at fair-market or agreed prices. 10. How are mining rights protected? KP holders and COW contractor companies may attempt to enforce mining and related rights against third parties in the Indonesian courts. Litigation is slow and costly, judicial processes are cumbersome and outcomes are difficult to predict. As mentioned above, COW contractors have the additional right of being able to resolve disputes about their COW rights and the government’s COW obligations by arbitration. COWs contain arbitration provisions of disputes and specify applicable arbitration rules. The arbitration location may be offshore if so specified in the COW or the initiating party. 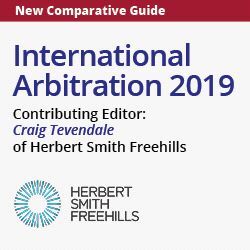 Enforcement of an offshore arbitration award may be facilitated given Indonesia’s adherence to the New York Convention on Enforcement of Foreign Arbitral Awards. Enforcement, in any event, is likely to be difficult and slow. 11. How do the rights of aboriginal, indigenous or currently or previously disadvantaged peoples affect the acquisition or exercise of mining rights? Indigenous people are not recognised constitutionally or otherwise as having any legal rights to mineral deposits. Ownership of metals and minerals in the ground is vested in the state, as described above. However, local people and cooperatives are in theory to be given priority in the event of competing applications for KPs. In practice, a ‘first-come, first-served’ approach may preclude this priority from being exercised. 12. What surface rights may private parties acquire? How are these rights acquired? The holders of mining rights have the right to enter and remain in the area covered by such rights in order to exercise their mining right subject to acquisition or relinquishment of surface rights held by other parties. Surface rights may be based on customary law, use or occupation and titles granted pursuant to the Agrarian Law. Holders of mining rights must negotiate and pay compensation mutually acceptable for surface rights and crops, trees and other plants of commercial or subsistence value. Holders must also pay for affected buildings and resettlement if necessary. Some COWs provide that such compensation for surface rights is to be ‘reasonable’ but expectations can cause negotiations to be difficult and protracted. Regional and local officials may assist in the acquisition of surface rights, but there are no compulsory acquisition laws or administrative tribunals empowered to fix compensation. right to use (hak pakai). Companies holding mining rights may obtain HGB and hak pakai titles (which have a defined term of years) and would normally do so for areas of land on which plants, fixed equipment and infrastructure are to be located. Hak milik may only be granted to Indonesian individuals and certain entities but a hak milik holder can relinquish his rights and allow conversion of the title to HGB issued in the name of the mining rights holder. Laws and procedures governing the acquisition of land titles are complex and the process can be lengthy. 13. What duties, royalties and taxes are payable by private parties carrying on mining activities? Are these duties, royalties and taxes revenue-based or profits-based? A holder of mining rights is required to pay the state dead rent, royalties during exploration and exploitation and other payments related to mining activities and the area covered by the holder’s mining rights as may otherwise be required by law. GR No. 45/2003 specifies the dead rent and royalty obligations of KP holders. COWs specify such obligations for COW contractors and these may differ from those set forth in GR No. 45/2003. DGGMR Circular Letter No. 008.E/84/DJG/2004 provides instructions for calculating payments of dead rents and royalties. Law No. 25/1999 specifies to which level of government KP holders and COW contractors are to pay royalties and how such levels of government are to allocate and transfer these funds to other levels of government. Dead rents are charged based on the number of hectares covered by a KP or COW and the stage of mining involved. For KPs, dead rent charges begin at 500 rupiah per hectare per year during the General Survey and Preliminary Investigation KP and increase to as much as 25,000 rupiah per hectare per year during the Exploitation KP. For COWs, dead rent charges begin at US$0.05 and increase annually to as much as US$4.00 per hectare per year. Royalties for KP holders and COW contractors not otherwise governed by royalty rates specified in their COWs are defined as percentages (3 per cent to 5 per cent) of FOB sales prices per ton or kilogramme of metal exported as such or as contained in exported concentrates. Companies holding KPs also pay corporate income tax at generally applicable rates (currently 30 per cent) and are subject to generally applicable tax laws. COW contractors pay corporate income tax at rates specified in their COWs that may be more or less or the same as generally applicable rates. COWs have customarily contained special tax provisions for COW contractors that constitute a special tax regime for the life of the COW. Tax officials may not at times respect the lex specialis nature of such provisions. 14. What tax advantages/incentives are available to private parties carrying on mining activities? Few special tax advantages or incentives are available to holders of KPs. However, KP holders are eligible for relief (in the form of a reduction to a maximum of 5 per cent) for a two-year period from import duty imposed on machinery, goods and materials. Mining services companies are also eligible for such relief (minister of finance Decree No. 135/KMK.05/2000 and Decree No. 28/KMK.05/2001). PMDN and PMA companies holding mining rights either as KP holders or COW contractors are eligible for relief or exemption from duties on imported capital equipment. COW contractors may also be eligible for other preferential tax treatments if contained in the provisions of their COWs. For example, a COW contractor may be eligible for a reduced rate of withholding tax on dividend payments made to a foreign shareholder if so provided in its COW. 15. Is there any distinction between the duties, royalties and taxes payable by domestic parties and those payable by foreign parties? Please see question 14, having regard to the fact that KP holders must be Indonesian nationals or entities owned by Indonesian nationals whereas COW contractors may be Indonesian companies owned by foreign shareholders. 16. What are the principal business structures used by private parties carrying on mining activities? Mining activities in Indonesia are normally carried on by Indonesian limited liability companies (PT companies) formed under the Company Law. Foreign parties may only participate in mining activities as shareholders of PT PMA companies as indicated above. 17. What are the principal sources of financing available to private parties carrying on mining activities? What role, if any, does the domestic public securities market play in financing the mining industry? There are few Indonesian sources of financing for private parties carrying on mining activities. Exploration funds tend to be raised through offshore stock offering of listed affiliates of COW contractors or parties with cooperation or similar agreements with KP holders. Such funds are then lent to the mining rights holder. Offshore banks have provided limited recourse project finance loan facilities for mine development and construction. Although several mining companies are listed on Indonesia’s stock exchanges, the Indonesian public securities market does not play a significant role in financing mining activities. 18. What restrictions and limitations are imposed on the import of machinery and equipment or services required in connection with mining activities? There are no material restrictions or limitations of any kind imposed under Indonesian law in connection with the importation of machinery and equipment normally required for mining activities. Normally required services for mining activities may also be obtained and provided in Indonesia. But the ‘importation’ of such services is closely regulated to the extent that individual or corporate service providers establish a physical presence or are deemed to have a permanent establishment for tax purposes in Indonesia. 19. What restrictions and limitations are imposed on the use of domestic and foreign employees in connection with mining activities? There are no restrictions or limitations imposed on the use of domestic employees for mining activities in Indonesia. Companies holding and exercising mining rights may employ foreigners (expatriates) except for personnel work (see Presidential Decree No. 75 of 1995). Employers must obtain a number of approvals to employ expatriates. The expatriates must obtain the requisite visas, residence and work permits in order to work in Indonesia. 20. What restrictions or limitations are imposed on the processing, export or sale of metallic minerals? There are presently no mandatory restrictions to or limits on the processing, export or sale of metallic minerals mined in Indonesia by KP holders although exploitation KPs may, and certain COWs do, require contractors to process minerals within Indonesia if economically feasible. Mining rights holders normally produce concentrates from minerals mined. Regional and local development obligations of COW contractors impose the need to maximise employment of Indonesian nationals and otherwise enhance development and this can be a factor in determining the extent to which minerals will be processed in Indonesia. 21. What restrictions or limitations are imposed on the import of funds for mining activities or the use of the proceeds from the export or sale of metallic minerals? Indonesia does not have any foreign exchange controls. There are no restrictions or limitations on the import of funds for mining purposes (except that foreign loans must be reported to Bank Indonesia). COWs and other laws may require that imported funds be deposited into special PMA accounts. There are no restrictions or limitations on the use of proceeds from the sale or export of metallic minerals. There are no obligations to repatriate or use export or sale proceeds in Indonesia. COW contractors have specific rights to transfer funds abroad entrenched within their COWs. The standard article 15 of a COW permits COW contractors to transfer abroad net operating profits, repayments of loan principal and payments of interest on foreign loans, allowances for depreciation of capital assets generally applicable to PMA companies under the Foreign Investment Law, proceeds from the sale of shares to Indonesians, expenses for employed expatriates and the training of Indonesians abroad, technical assistance and licence fees. 22. What are the principal environmental, health and safety laws applicable to the mining industry? What are the principal regulatory bodies that administer those laws? See also: MEMR Decree No. 103.K/008/M.PE/1994 for the role of the Inspector from the DGMCG in supervising Environment Management Plans (RKLs) and Environment Monitoring Plans (RPLs); GR No. 82/2001 on prohibition on discharging solids (including muds and slurries) into water or water sources; and GR No. 18/1999 which may apply to all tailings disposals. 23. What is the environmental review and permitting process for a mining project? How long does it normally take to obtain the necessary permits? Mining companies must prepare AMDAL documents (Reference Outline, Environmental Impact Analysis (ANDAL), RKL and RPL) (see MEMR Decree No. 389.K/0088/M.PE/95). AMDAL documents are open to the public. Review of AMDAL documents is carried out by either a central review team (located in Jakarta) or a regional review team (ie, a team designated in the relevant province). Central review teams report to the minister and regional review teams report to the provincial governor for their respective approvals. A first step is the conduct and completion of baseline studies. This is the collection and analysis of data on all physical aspects and issues, including climate, flora, fauna, soils, river flows, tides, waves, topography (land and sea), social studies on population, health, education, employment and religion. Community consultation is required. For a substantial mine project, this could take at least one year. This is followed by submission of the Terms of Reference for the ANDAL for approval (a process normally requiring no less than three months), preparation and submission of the ANDAL, RKL and RPL (six to nine months), and approval of the ANDAL (three months). The entire process can take between 18 and 30 months. 24. `What is the closure and remediation process for a mining project? What performance bonds/guarantees and other financial assurances are required? Reclamation obligations are defined by MEMR Decree No. 1211.K/008/M.PE/1995; minister of forestry and plantation Decree No. 146/Kpts-II/1999 and Regulation No. P-12/Menhut- II/2004; and DGGMR Decision No. 336.K/271/DDJP/1996. Holders of mining rights are required to submit annual plans for environmental management that include a reclamation plan before commencing exploitation. Reclamation must be conducted in accordance with reclamation plans and applicable laws. Completion of reclamation must be confirmed by a DEMR decision. Before commencing exploitation, a KP holder and a COW company must deposit a reclamation fund in a bank appointed by the relevant government authority (ie, central or regional). The amount of the reclamation fund is based on estimated reclamation costs under the relevant AMDAL. 25. What international treaties apply to the mining industry or an investment in the mining industry? Indonesia is not a party to any international conventions or treaties specifically applicable to the mining industry. Indonesia is a party to a number of bilateral treaties on foreign investment. Indonesia is experiencing increased interest in mining given high commodity prices. However, the existing legal regime imposes difficulties and delays in obtaining mining rights. A bill to amend the Mining Law as brought before parliament would, if enacted in its present form, result in greater uncertainties. Various initiatives taken by the government in 2018 have paved the way for greater opportunities for investments in the energy and infrastructure sector in India. Does Recent Supreme Court Decision Give Pertamina Priority Over Expiring PSCs In Indonesia?